Jamila Solomon is a Clinical Psychologist working in Private Practice and Community Health. She specialises in clinical work with children and families struggling to manage behaviour. Jamila’s clinical interests continue to include the examination and application of cutting-edge interventions for treating childhood behavioural and emotional problems, as well as family-based interventions. She is a PCIT Certified Therapist who is also trained in several other evidence-based interventions for anxiety, autism, and behavioural issues. She takes a research-informed approach to practice, which is shown by her previous research projects. Jamila has previously conducted research evaluating interventions for children with autism spectrum disorder as well as children with ADHD. 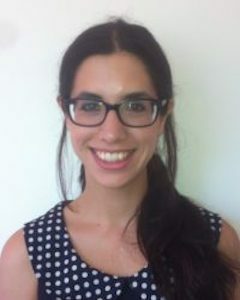 Most recently she worked on a research project at our clinic looking at an adaptation of Parent-Child Interaction Therapy for young children with conduct problems and callous-unemotional traits (e.g., lack of empathy/guilt) who are at risk for severe behavioural issues and antisocial behaviour. Her ultimate interest is providing help to children and families that will serve to promote early intervention and prevention practices.